HID Global announced the FARGO HDP 8500LE Industrial Card Laser Engraver, a new module in its FARGO Industrial Series for high-security state and government eID programs and other applications requiring advanced visual security. The high-security HDP8500LE system permanently engraves a range of personalization attributes into cards, making forgery and alteration virtually impossible. 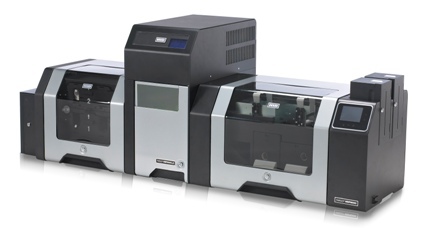 With the HDP8500LE hardware and Asure ID Software, HID delivers a solution for simultaneously printing, encoding, engraving and laminating IDs. Asure ID software provides users with a single card template that integrates data to be printed, programmed and engraved into a card. The HDP8500LE raises the technology barrier against fraud by delivering overt and covert visual security elements together with high levels of system and output security. Precision laser engravers enable program designers to add custom security features, which may be authenticated with the human eye, as well as covert and forensic features, which require tools such as a magnifying glass or ultraviolet light to enable authentication. HID laser engraving technology creates surface relief in the form of raised lettering that enables verification of authenticity at the touch of a finger. An optional camera vision system ensures accurate placement and registration of data on the card surface and reproduction is so precise that it even enables the engraving of microtext that cannot be read without a magnification tool. 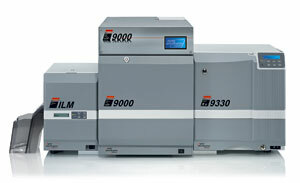 The HDP8500LE system can also produce multiple and/or changeable laser images (MLI/CLI), which counterfeiters are unable to mimic using regular printers. In addition to the new HDP8500LE laser engraver module, the Industrial Series includes the HDP8500 printer/encoder, incorporating fifth generation HID Global High Definition Printing technology, and an integrated lamination module. The Industrial Series is built for maximum reliability in challenging environments. Specifically, it offers ease of use and maintenance to reduce training and issuance costs, field-upgradeable options to meet specialized or evolving requirements and flexible deployment options enabling use in distributed or centralized issuance locations. The entire HDP8500 system is supported by HID’s Asure ID Exchange Card Personalization Software. Integration of all HDP8500 personalization modules enables ID program administrators to create end-to-end security around their entire issuance operation.